As we said before, we are creating our own courageous stories inspired by Saint George. We are asking you to find a dragon village in the local game round you are playing and to defeat the dragon. Since the dragon stands for a huge army, this means this dragon village has some troops defending it. And their number is unpredictable, even spies cannot figure out their training times. Each player can share up to 3 reports. We will calculate the troops based on crop consumption. That means a unit with a 3 crop upkeep equals 3. Time frame: Since Saint George's day is not celebrated on the same day in all countries, we decided to include most dates in one way or the other. Thus, this contest will start one day after the game round start, on Wednesday, April 24 2:00 pm CEST and will run until Monday, May 6 2:00 pm CEST. We will unlock the tracking thread during that first Wednesday morning. You will also unlock 3 new achievements for all game rounds. The special birthday world COM1n (7th May) would be the first one starting with them unlocked. Unlocking means that we'll start tracking for these achievements. No one will get them retroactively. 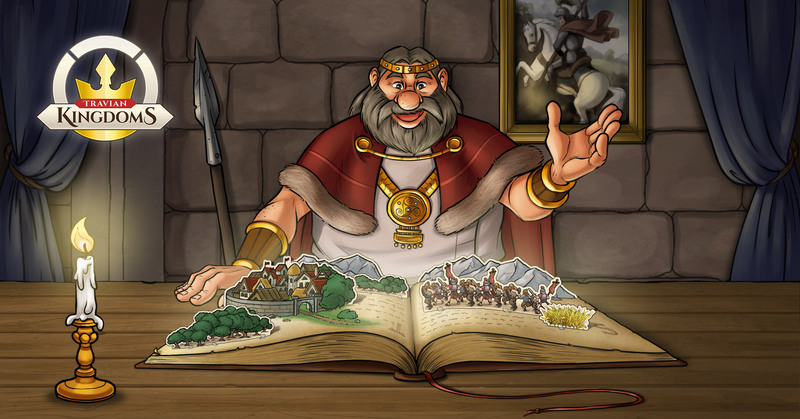 Everybody sharing a report in the tracking thread of the St. George contest will automatically take part in a raffle and can win a book of wisdom or a water bucket. We will give them out randomly and increase their number for every 20th posted report once we hit 50. Why these items? It’s World Book Day and there is a Spanish tradition to gift books on St. George's day. In the Arabic stories about Saint George, he is known for returning from the death. In our case, with a water bucket our heroes can be revived, too. Any questions? Check out the local embassies. ESx3: ESx3 - Cotilleos, barridas y estampadas. FRx3: Bienvenue dans le monde spécial Anniversaire ! as you have noticed the BB game worlds are already online! Feel free to invite your friends to help you out via the following link and they will receive an additional gift, namely a book of wisdom.